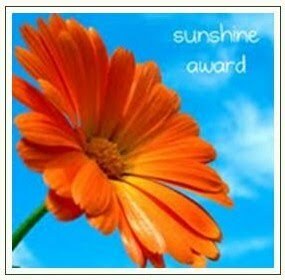 I have received another nomination for the Sunshine Award. Never in my wildest dreams would I have ever though I would get one, but this is my second Sunshine Award and my eight blog award all together. I want to take a moment and thank ndjmom over at Three Quarters Today blog. Ndjmom was the first person from Word Press who ever followed me. That was four months ago. I am not sure how she found me but being she was the first WP Follower, she will always be special to me. Today I checked and I now have 343 followers. I am humbled and almost speechless. I am not sure I will ever be completely speechless. This means that eight of my fellow bloggers liked my blog enough to nominate me. I must confess I feel special, thank you ndjmom. Take a minute to visit Three Quarters Today and check out ndjmom’s photography. She lives in Nebraska, which is where my father grew up. She posts some great pictures of Nebraska, among other things and it give me a bit of insight into what my father may have seen growing up there. She also has two sons’ who are now serving in the Marines and to them I send a big thank you for serving and to you ndjmom thank you for supporting them. 2. Answer the questions about myself. I have done these enough I can’t keep answering the same questions…..If you want to follow the rules go to Three Quarters Today for the original questions. Favorite Bird: I do not like birds so my least favorite bird is ANY bird but especially chickens. I kind of have a chicken phobia. The Best Advice you have been given: Dad always taught me to always look down. We were taught that when rock hunting but I applied that to my life. I found lots of money this way including 210 dollars, and six tickets to a concert we were attending. I sold them for 20 dollars apiece and bought new tires, which were badly needed. Favorite Holiday: Memorial Day or Labor Day, so that I can show my respects to the people fighting and who fought for our country. My 10 Nominees: I decided I would nominate the last 10 people who followed my blog so they are. Thanks to each of you for your support and for following me. Believe it or not there is no sun here today! Cloudy with thunderstorms, but we really need the rain. Thanks for the congrats! Where are you in California? I’m in Sacramento and it is 87 degrees right now. I am in the High Desert of So Cal, 3 miles west of state line and Las Vegas. It is a cool 92 degrees but the sun is hidden by black clouds. It has been raining on and off all day. Yea! Thanks, I’m very honoured. Would you let me accept it on behalf of my other blog (which doesn’t have many awards, poor thing) or is it tied to butimbeautiful? And again, thanks a heap! Sure! What is the link on your other blog so we can take a look? Yeah! Yahoo! & Congratulations! again. Now I’m off to click on these nominee links too. You must be camping out again! Yea me!